This book is the first major study of provincial history in the Qajar period. Drawing extensively on unpublished Iranian and British documents, it explores the history of Mazandaran, a province in the Caspian region, during 1848-1914, when the province as a part of Iran was exposed to the policies of rival great powers, particularly Tzarist Russia. 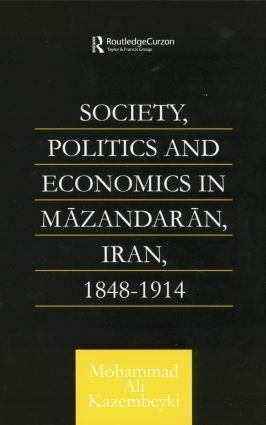 While showing socio-economic characteristics of Mazandaran and its potential for development, the book examines in detail the transformation of the traditional provincial community and economy in the course of the 19th and early 20th centuries.